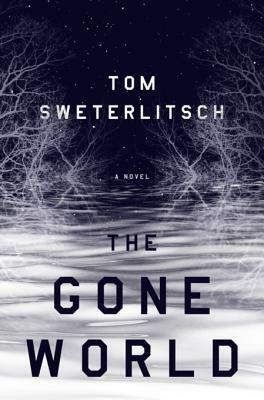 The Gone World follows protagonist Shannon Moss, who belongs to a top-secret division within the Naval Criminal Investigative Service. On paper, her job is to investigate any criminal activities involving members of the US Navy or Marine Corps, but behind the scenes, her duties involve a whole lot more, including traveling through time to search for clues in a myriad of possible futures. It’s dangerous work, and years ago she even lost her leg to frostbite while on an assignment exploring the wintry landscape of a future Earth. Moss’s “own” time is 1997, the year she receives a case to track down a missing teenage girl named Marian whose mother and brother have been brutally murdered. The main suspect is a former Navy SEAL, who Moss discovers, with some shock, was part of the Naval Space Command program, stationed aboard a spaceship assumed lost on a classified mission. Knowing how the stresses of traveling through space and time can push a person to the edge, Moss suspects a deeper connection. Now she will need to jump ahead to a possible future Earth to see if Marian’s disappearance has made any ripples, so that Moss might trace the events backwards to discover what happened to the girl. But for a while now, the NSC has also been aware of an event known as the Terminus, which will bring about the end of the world and all reality as we know it. The date of the Terminus, however, is not set; every time Moss makes the jump to the future and returns to the present, she receives news that the Terminus has moved up a few more years, drawing ever closer. This novel is a sci-fi crime thriller with time travel thrown into the mix, so you just know the story will be a little wild. It can also be quite confusing—but again, that’s almost par for the course when it comes to time travel fiction. Everything is connected somehow, and as readers, we must keep track of the times Moss travels to the future, how long she stays, the people she talks to, and the information she gleans. Just to make it even more complicated, every time Moss jumps forward and comes back, the future she visits “blinks” out like it never happened (or maybe that should be “will never happen”?) and anyway, all her futures are possibilities only, not certainties. If your head isn’t exploding yet, there’s more: Echoes. These are individuals brought back from the possible futures, doubling someone already living. This aspect plays a big role in the story, so I won’t say more on the topic. The point though, is that The Gone World is a story of many different components, which Sweterlitsch juggles like a performer spinning plates on sticks, trying to keep them all up in the air and moving at once. If you’re not prepared to have your mind twisted, of if you’re in the mood for something lighter, then this is not a book for you. This is also the second novel I’ve read by the author, so to some extent, I knew what I would be getting in terms of the tone of the story and writing style. In a word, it’s dark. Really dark. Like Sweterlitsch’s first novel Tomorrow and Tomorrow, we’re talking an extremely bleak worldview, where the threat of the Terminus is always present and encroaching on our minds. Some of Moss’s memories and her disturbing visions also have the quality of a nightmare, and the prose frequently utilizes imagery that is once painfully beautiful and viscerally horrifying. As much as I enjoyed this novel though, there are a few caveats. The raw, gritty, and depressing mood aside, I’m not sure the book got its ultimate point across successfully. The story might have lost its hold on me at the end, crushed by the weight of its own ideas and growing a little too unwieldy for the plot structure to support. As well, I still have no idea how a lot of the science or the mechanics behind the technology in the novel really work; the author doesn’t make much of an effort to explain. One can argue all that is secondary to the main story, but I think it would have helped to get at least some background on the secret NSC space program and the history of how time travel was ultimately achieved. But all in all, I enjoyed this. It’s smart, imaginative, and so edgy it could cut. I liked following our compelling protagonist, watching all the pieces come together (and sometimes get torn apart) against a backdrop of drama, action, and thrilling suspense. I would recommend this for time travel fiction fans and sci-fi mystery lovers, especially if you’re looking for a challenging, mind-bending read. Audiobook Comments: Brittany Pressley was a wonderful narrator, successfully portraying a large cast of characters of different ages, different backgrounds, and different times. She used accents to great effect for several of them, creating a very immersive experience for the listener. She had a great voice for the book too, perfectly capturing its grim and dark tone. Was not expecting a “dark” tone to this book, but I think that may be enough to set it apart from other time-travel – though, to be fair, I’m interested in pretty much any time-travel story. Yeah, it’s not apparent from the description. I only expected because I’ve read the author’s previous book. It’s GRIM! I’m hoping to get to this soon, we’ll see…I do enjoy books that make my head explode, however! Then I think you’ll like this! Yep, definitely not a light book. Oh my gosh. I bet a sci-fi crime thriller would get confusing! It sounds like he pulled it off, though. It sounds like a good read! Yep, things kind of unraveled at the end, but for the most part, he did keep it together! I saw the link for this post over on Chuckles so I had to come check you out. Thanks for sharing the great review. I enjoyed this and completely agree with everything in your review. I’m torn between 3.5 and 4 stars – because ultimately I think it’s very clever but also at the same time – like you say above – it feels that everything becomes too loaded and the plot literally can’t support it. I liked that there wasn’t too much detail or explanation but at the same time I found the echoes confusing – especially as the worlds travelled to ultimately don’t exist after the traveller returns – see, confused still. But, I also enjoyed it and I read it in little more than a day – which in the case of this book I think helped. I don’t think that this is a book that you could chill with – it felt like something I had to get on with so that I wouldn’t lose the plot or forget about which possible future I was up to. It is certainly cutting edge, gave me a feeling of Interstellar and Twelve Monkeys, even a little bit Groundhog Day, and as I was reading I couldn’t help thinking it would make a great adaptation. A book that I think a second read would really work well for.